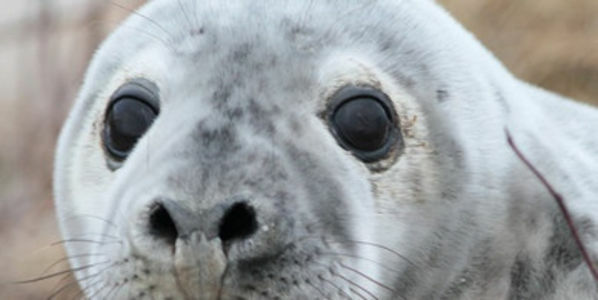 "Пётр и Патрик" : Dont Kill New England's Gray Seals! защита природы защита природы - Dont Kill New England's Gray Seals! Years ago, gray seals nearly disappeared in New England until the Marine Mammal Protection Act put a stop to their slaughter. Now, the Gray Seal is flourishing in their natural habitat on the New England coast, but some residents are asking to allow the gray seal to be hunted and killed again! Although fishermen state the seals interfere with their businesses and beach visitors complain about them taking over sections of the shores, the truth is the gray seal only eats fish that are not commercially viable to fishermen and charter businesses are booming with tourists eager to get an up-close view of these sweet-faced seals. Tell Rockland, Maine NOT to kill these magnificent mammals!